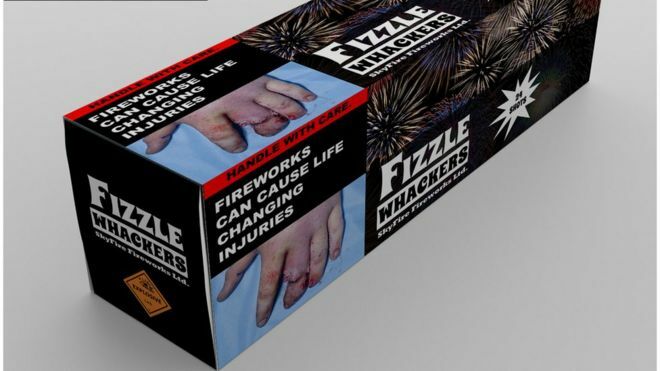 Doctors are pushing for images of injuries to be displayed on firework packaging in an aim to stop life-changing injuries associated with fireworks. Today being the 5th of November, Bonfire Night in the United Kingdom, doctors and plastic surgeons are pushing to the Government to introduce graphic warnings on all firework packaging. In England last year alone, 4436 individuals attended A&E due to an injury caused by a firework. This figure was more than double that in 2009/10. Although awareness campaigns and safety warnings are shown each year, these life-threatening injuries still happen across the nation every year, especially among people who aren't attending public displays or well-organised events. The current packaging of fireworks is seen to be as bad as the packaging for sweets and games, using bright colours with small warnings at the back of the item. The marketing for products such as fireworks has been charmed as the same thread as advertising for gambling, alcohol, cigarettes and junk food, according to The British Association of Plastic, Reconstructive and Aesthetic Surgeons (BAPRAS). "We are extremely concerned about the continued misuse of fireworks, particularly by those under the age of 18 away from organised events." YouGov carried out research to discover that 68% of UK parents would support this introduction of graphic shock warnings on firework packaging, with about 50% of all people admitted to a hospital being under the age of 18, and about 80% being male. Although currently packaged in a 'trivial, toy-like fashion', people seem to forget that fireworks are actually explosives, and when incorrectly handled, can cause large amounts of damage to people. You can check out some of the graphic warnings that BAPRAS have proposed and supplied here, and here. Remember to stay safe this bonfire night, but enjoy your night.